Biopharmaceuticals are subject to the same process of registration as pharmaceutical products. For rDNA technology, controlled expression of genes, hybridomas and monoclonal antibodies, a Centralised Application (CP) is mandatory in Europe. There are also non-standard approval routes for biologics such as Orphan Drug products, conditional approval, approval under exceptional circumstances and accelerated review. Regardless of the route of registration, the level of detail required to be filed for biopharmaceuticals (particularly in M3 of the CTD) is significantly greater than that required for pharmaceutical products. The information is organised in the same manner as for pharmaceutical products. The development of biopharmaceutical products presents a significantly high failure rate and typical pressure-points include longer and more stringent clinical trial programmes and a slow technology transfer to scale-up the manufacturing process. The intrinsic variability in biopharmaceuticals (including the variability in the tests used for analysis) adds an additional level of difficulty in justifying and defining specifications. The bodies responsible for governing biopharmaceuticals are the same as for pharmaceutical products and include both national and regional organisations such as the Food and Drug Administration (FDA) in the US, the Medicine and Healthcare Product Regulatory Agency (MHRA) in the UK, and the European Medicines Agency (EMA). There are some additional specialist agencies such as FDA’s Centre for Biologics Evaluation and Research (CBER) that are dedicated to the regulation and approval of biological products. Over recent years the industry has moved towards Biosimilar products (also referred to as “follow-on biologics”). The EU has taken the lead in the development of legislation for the successful approval of the wide range of Biosimilar products. Other developments include platform technologies that can be applied to the manufacturing process of more than one biopharmaceutical. The development of clear protocols for scale-up, ensuring compliance to cGLP and cGMP, and robust non-clinical and clinical programmes that are based around the intended use are needed to secure product licensure. 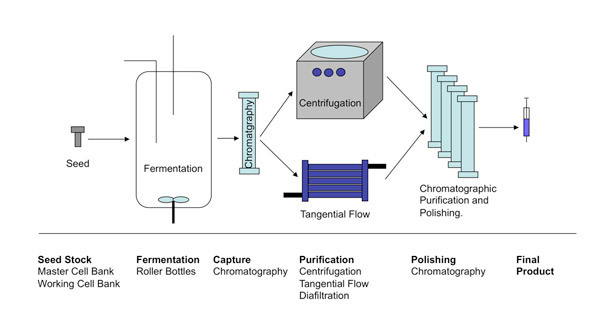 Rigorous validation of the entire manufacturing process, with special attention to the potential of unwanted side effects (such as immunogenicity to impurities and degradative products etc.) form a critical part of the development and registration process for this highly specialised area of pharmaceutics. How Woodley BioReg can help? Woodley BioReg was founded on the industry’s needs for specialised sector knowledge to navigate the highly detailed regulations and guidance around biopharmaceuticals. The nature of biopharmaceuticals means that operators in this area need highly specialised training and expertise gained over many years. For this reason it is generally not considered possible to transition Pharmaceutical regulations to Biopharmaceuticals. Woodley BioReg has over 200 years combined experience of helping biopharmaceuticals products be developed, manage non-clinical and clinical trials and achieve and maintain product registration for a number of biopharmaceuticals and vaccines throughout Europe and the US. WBR have supported a number of biologics manufacturers through a Flexible Resourcing Solution to address immediate and long term strategy, regulatory and quality needs. For more details of our biopharm services please contact us.